Posted on August 21, 2012 by mimijk •	This entry was posted in friendship, humor, inspiration, life lessons, love, mindfulness, motivation and tagged Buena Vista Social Club, Harry Belafonte, WordPress. Bookmark the permalink. You aren’t that good? pshawwww, you are better! The photo at the end of this post is what I’ve been telling you since I met you….your words HUG your readers. And that’s the truth, so deal with it SK. I think your #6 is phooey and can’t wait to see #7 put in play. IT’S NOT, but I won’t argue with you. It’s the truthhhhh, the whole truthhhhh, and nuttin’ but the truthhhhhh. Ohhhh…”My nabe is Edith Ann and I’m five yearth old”…yeah, I remember her well…laughing.. I am glad we have met too- and am honoured you would think of me — thank you so much. You are more than welcome!! It’s a delight to give you props!! Great job, Mimi. Your work is terrific. Thank you very much…I think yours is too! Aw, Mimi–well deserved, and thanking you! Thank you and you are so welcome – I think you rock! I came by to thank you for your comment on The spoon theory and again to thank you for reblogging the Bring Them Home alerts. 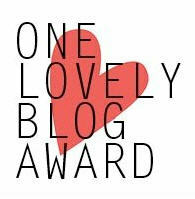 I so love your blog! I’d forgot to include that in my last comment here. You my friend have an awesome attitude. Just my kind of people. Thank you so much – I feel exactly the same way about yours!! I printed your post out and gave it to my husband and sent it to my kids. I truly feel that no one had ever described this issue as well as you did (certainly not me). Thank YOU – your post was a gift – in more ways than you could have imagined. I’ll visit often. So far, others who have seen my re-blog of your original Bring Them Home alert have quickly followed suit. The power of this community never ceases to amaze me. First thank you for mentioning me with all the other fine blogs. I have to confess, I try to follow a healthy diet as well, however half and half for coffee, sorry no can do. It has to be coffee cream, the 18% type. 🙂 As to reading your blog, it is one of the ones I read in the morning coffee in hand. I’m never sure what it might be about, just know it will be something entertaining, informative, or thought provoking. Wow. Take a booster pill friend. “I’m not that good – trust me. You however, are phenomenal.” Could this be a blue day? BTW, congratulations. You’ve earned it. Yes, you have. Repeat after me. YES I HAVE. Smooth misdirection you wily one. Moi? Tell me sensai, am I learning well? Laughing – you’re a hard person to please. Smiling..me? A blue day? There’s a fifth amendment clause in all of this candor I think..
You’re a wonderful person, Mimi 🙂 Keep writing. Huge hugs coming your way, luv. Thank you for the kind words about my blog. But you are the one who truly deserves all the applause!! You are a wonderful writer and I love reading your blog. Congrats on all the awards. I know there will be many more coming your way!! 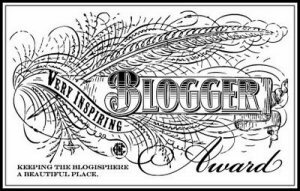 Please – this is about your blog – not mine..:-) Carry the goodness forward and realize that you are a delightful, talented blogger who is enjoyed and appreciated by many!! I also love half and half in my coffee … and you! Congratulations on the well deserved awards. I’m looking forward to checking out the blogs you recommended! Good morning Mimi, congratulations on your awards. I love half and half and do not drink coffee unless I have it in it. I love the picture at the end of your post it is great! Thanks Tina – I hope the meetings were productive and fun! 🙂 Thanks Dr Bill – I’ve never been an adjective before!! Good luck – keep up with your coffee and blogging. k.
Love the post- all awards more than deserved- you are great. But one thing- not “boring”- just not possible, anything but.